Ovalau is a lush volcanic island of approximately 110 square kilometers in size. 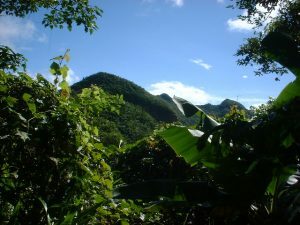 The island’s rugged topography is covered by tropical jungle, the highest mountain “Nadelaiovalau”, has an altitude of 625 meters. 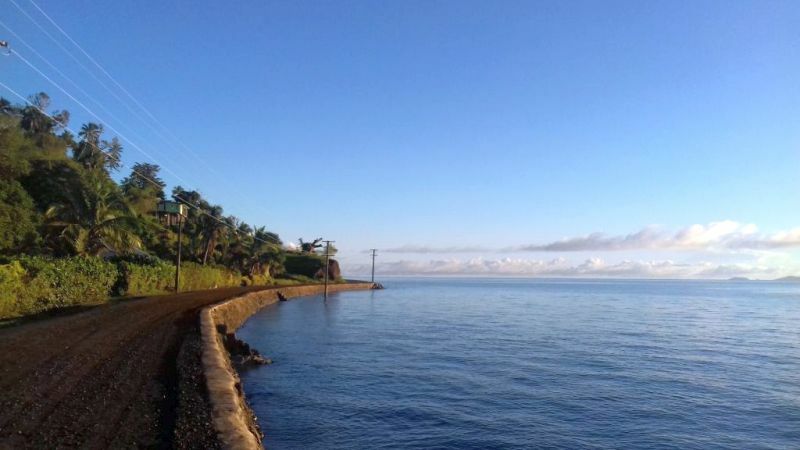 Ovalau is the sixth largest island in Fiji and the main island of the Lomaiviti Province. On the islands are 23 villages and one town, Levuka, Fiji’s former capital. The island’s population is around 9000 of which nearly 25% reside in Levuka. Levuka is located 22 kilometers from the island’s airport, Bureta. The vast majority are indigenous Fiji Islanders, with part-Europeans, Chinese, Indian, Rotuman, Solomon Islanders, Gilbertese, and many others representing the balance. There are 4 taxi bases along Levuka’s Beach street, with enough taxis always around. There are also “carriers“, small pickup trucks with benches and a tarpaulin covering it. Quite a few of them run on schedules between villages and Levuka town. The fare is very reasonable, locals use to transport good and to commute between their villages and town. If you get dropped off somewhere far outside town always ask the drive about return options. Three are three mobile phone providers in Fiji, Inkk Mobile, Vodafone, and Digicel. There is good 3G or 4G coverage in Levuka town and most of the island. Get a SIM and one of their prepaid data plans to stay connected. Most hotels have WIFI or have an Internet Terminal for guest use. 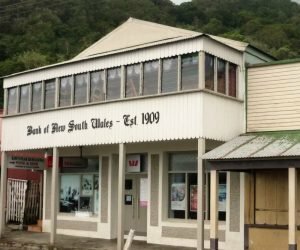 There is one Westpac Bank in Levuka offering full traveler-related services. Their hours are 9.00am to 3.00pm daily and 9.00am to 4.00pm on Friday. The local currency is the F$ – Fijian Dollar. Most shops in Levuka only take prefer cash or local bank cards. There are two ATM’s in town. You can get cash there with all major credit cards like Master, Visa, Amex, Diners, as well as several international bank cards ie; Maestro, Barcley. Further out islands do NOT have ATM, there is local cash only. 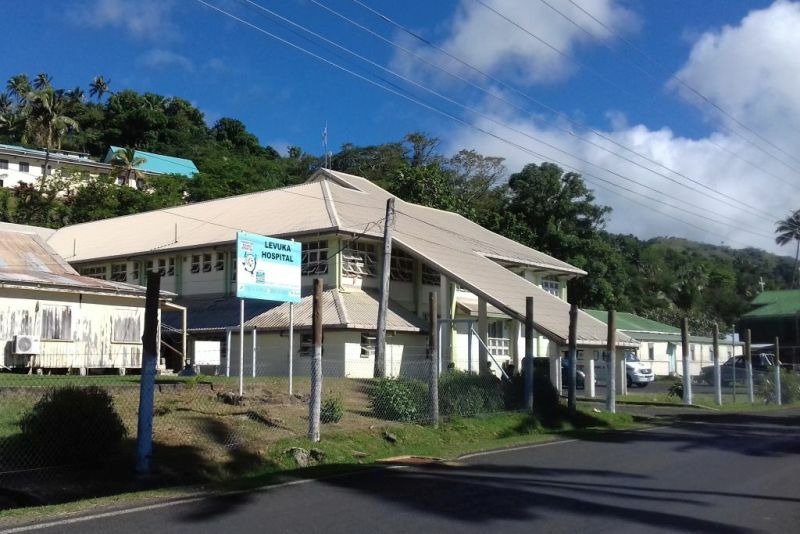 The Levuka Hospital ( Phone +679 3440088 ) provides medical services for outpatient and inpatient cases. There is no optician service, but dentistry is available. Serious emergency cases are transferred to Suva by helicopter, if necessary. Some pharmaceutical products are available at the hospital and from stores in town. Bring prescription if you need to take regular medication. Don’t forget Travel Health Insurance. This was Fiji’s first Post Office, it is still in the original building together with Port Authority and Customs department. Build in the late 1870’s, the timber building’s two major gabled roofs reflect the dual function of the building. It is also from this location that “pigeon post” services to Suva were operated. Open 8.00am – 4.00pm daily. Closed Saturdays and Sundays. Levuka is a port of entry into Fiji and clearance for yachts and boats is easily arranged during normal working hours -call ahead if entering harbor after normal hours. Bunkering, watering facilities, and ships’ supplies are available. 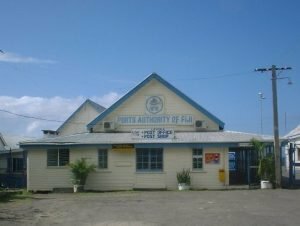 As Levuka is an official Port of Entry, there is a Fiji Immigration office in town. They clear arriving ship or yacht crew as well as handle any other visa and immigration issues. Most Passport holders get on arrival 4 months tourist visa. In the early days, the area between the commercial business houses and the Pacific Ocean was all promenade. 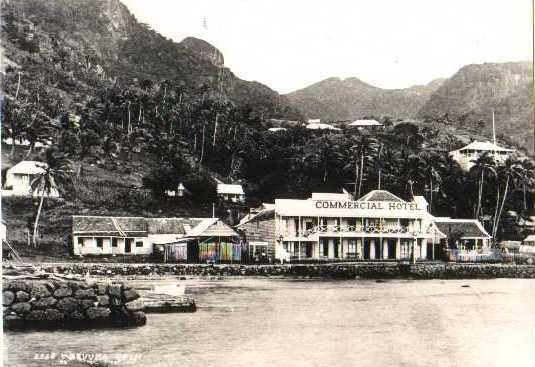 Later with the copra trade, a rail line was established for transferring copra from the jetties to the south end of town where the large copra sheds were located. 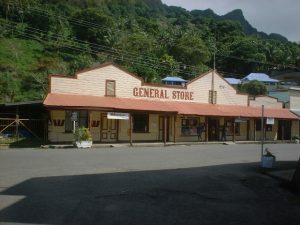 Today, Beach Street is the main shopping lane of Levuka, and most buildings along it are in excess of 100 years of age. Commerce is located here, with most merchants living above their shops. Enjoy browsing in the local shops such as Vallabhs, Gulabdas and Ambalals – they offer an interesting local selection of footwear and fabrics and some handicrafts. Most villages on Ovalau do have at least a primary school so the primary pupils do not have to travel far to get to school. There are also 3 Secondary Schools on Ovalau Island where pupils may achieve University Entrance certificate. Almost every village in Fiji has at least one church. Sunday is respected as a quiet day. You are welcome to join in any of the churches listed below and to enjoy the harmony of the Fijian voices singing familiar hymns. 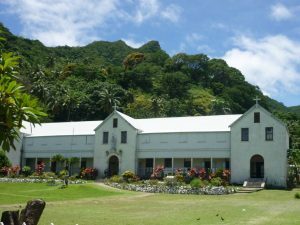 Located in the center of Levuka town on Beach Street, the church represents the oldest known Catholic Mission in Fiji. Built in the 1800s, the building consists of conventional and simple Gothic Revival styled architecture. 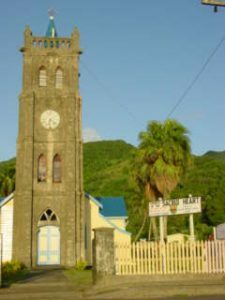 It is located towards the northern end of the town just before Levuka Vaka Viti village and is now considered the church of the Tui Levuka. Built in 1869, it is here that Ratu Seru Cakobau was baptized. Services conducted in Fijian with beautiful singing. This quaint little church is located at the bottom of the 199 steps. Built also in the 1860s and featuring beautiful singing from the choir and congregation, the services are usually conducted in English. Also located on the north side of town, just past the hospital, Holy Redeemer was built in 1904. It is a fascinating example of Gothic architecture and features exquisite stained glass windows. The church is located just above Church Street, behind the park. Some of the links on this website contain affiliate links, meaning levukafiji.com may receive a small commission if you click and visit recommended websites. Clicking an affiliate link doesn’t cost you any extra. Copyright © 2017 Levuka Historical Port Town, Fiji Islands All Rights Reserved.